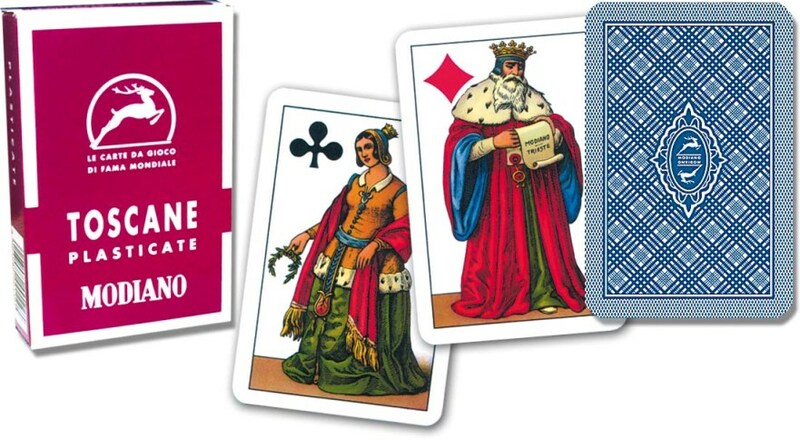 Scopa is played with a classic Italian deck; the name is an Italian noun meaning "broom", since taking a scopa means "to sweep" all the cards from the table.This deck is divided into four classic suits 19th century style. 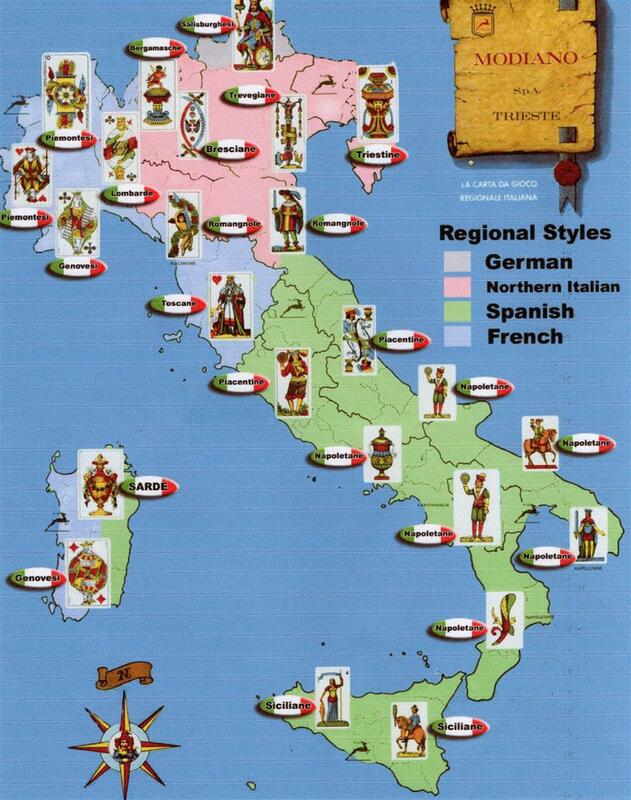 Several patterns (more than 22 regional decks are in fact available) of Italian cards exist, this toscane deck is largely used in central Italy and Genova area. Counting, Memory and Skills are important to the outcome of the game. Online rules, videos explanations are largely available in different languages.